When lessLIE was six months old, he and his mother moved to Seattle to be closer to other family members, in particular his grandfather, Gary Rice. 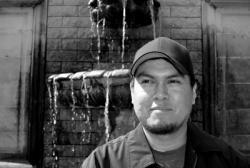 lessLIE credits his grandfather with instilling in him, and encouraging the passion to be an artist. He believes that having spent those formative years in a large urban centre has influenced the direction of his art, as it relates to issues of environment, dispossession and race. lessLIE holds a B.A. in First Nations Studies. 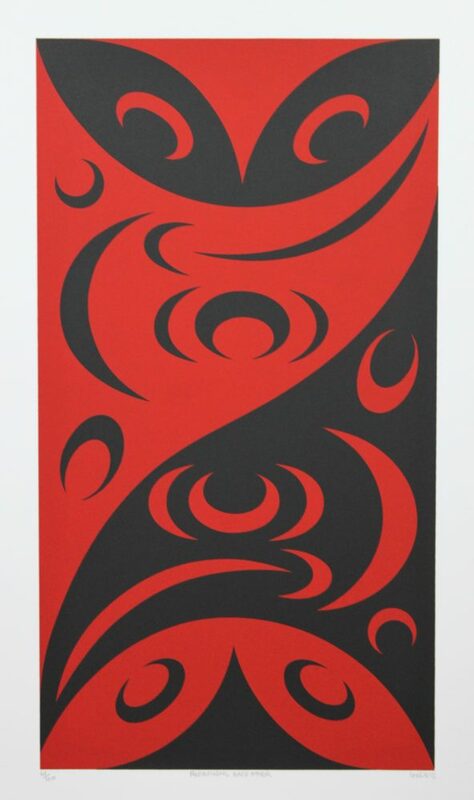 While working on his degree, in 1995, he began studying Coast Salish art, in particular, the works of contemporary artist Susan Point. He was also encouraged and inspired by his cousin Joseph Wilson. Other influences include Manuel Salazar, Maynard Johnny Jr., Shaun Peterson, and Luke Marston. lessLIE’s works can be found in collections around the world and form part of the collection of the Art Gallery of Greater Victoria (AGGV) and the Westfälisches Museum für Naturkunde in Münster, Germany.